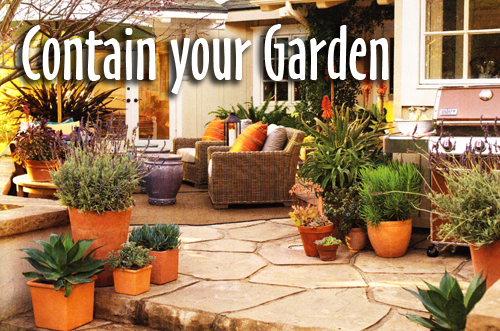 Containing your garden is easy and fun to do. All you have to do is plant your live materials in pots. 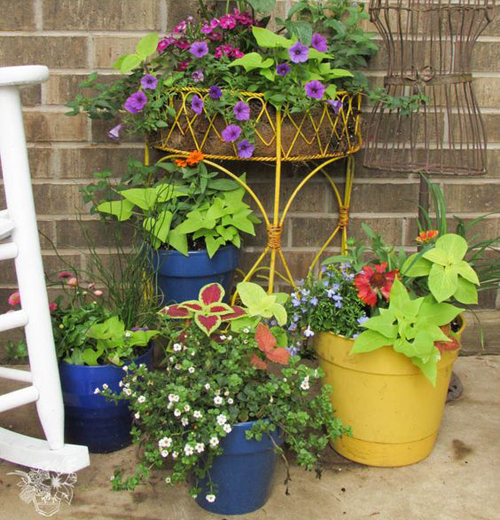 Whether your containers are on a porch or patio, a balcony or rooftop, follow these guideline to get you growing! 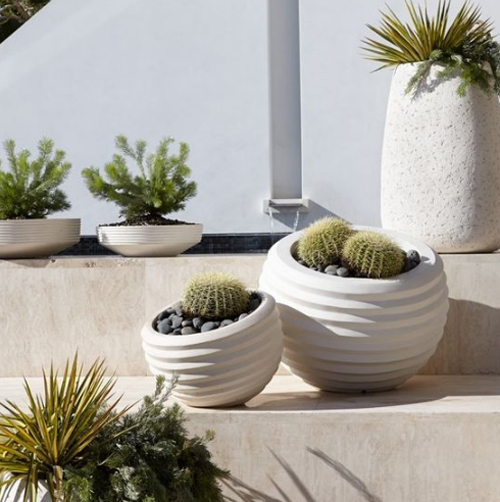 Start with selecting a fantastic planter. One that compliments your landscape design and takes into account the look and feel you want to project. If you are planting on a rooftop or balcony - pay attention to the weight of the planter. 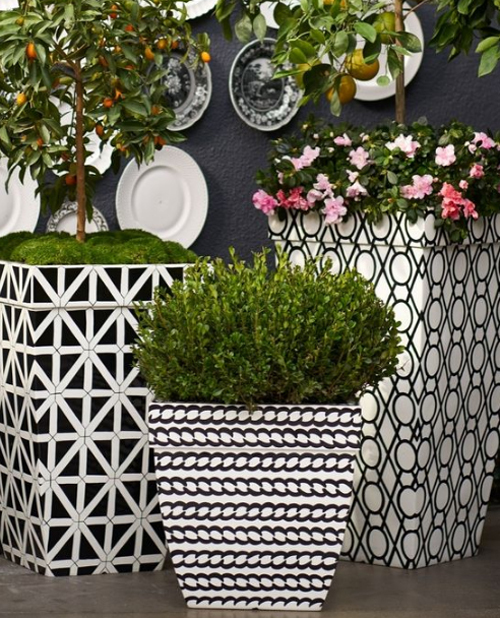 There are so many kinds of garden containers to consider that sometimes it can feel overwhelming. Poly Resin, Concrete, Metal, Ceramic, Terracotta, Stone & Sandstone, to name a few. Purchase a good oil mix and add water saving gels. Do not use soil from the ground in your yard. Many times that soil is depleted and may contain infectious materials. Try plants you think you can't grow. Pay attention to special needs such as light exposure, soil conditions, and water requirements. Use saucers to keep decks and patios clean. Fill containers to about 2" from the rim with moistened soil mix, then scoop out individual planting holes. Start with the tallest plant, then place mid level plants around it. Tuck low growing and cascading plants around the edge of the pot. After planting tamp down the soil, then water. Mix annuals & perennials, even bulbs into the planting scheme. Crowd the plants more closely in the container than you would in the garden for greater impact. Group containers of various sizes and shapes. 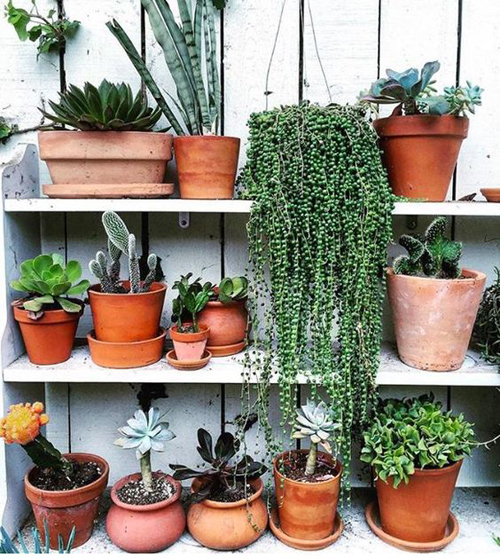 Make sure one or two pots are larger than the others, or raise some up higher than the others. Water at the rim of the pots so flowers and foliage don't get wet. Feed plants and then protect them with cold weather comes. There are more tips but these are the most important. Just use some common sense and you will create stunning displays of color all season long!